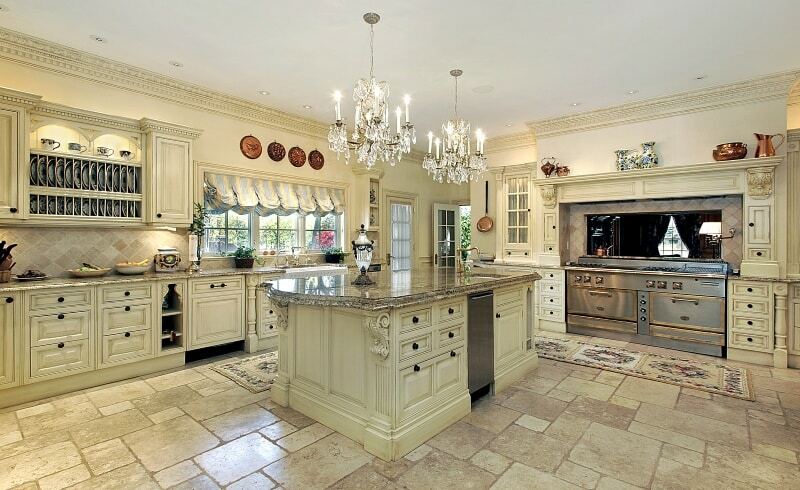 Bonjour and welcome to our Art of the Home gallery of stunning kitchens with tile floors! We hand picked these photos just for you…hope you enjoy the visit! 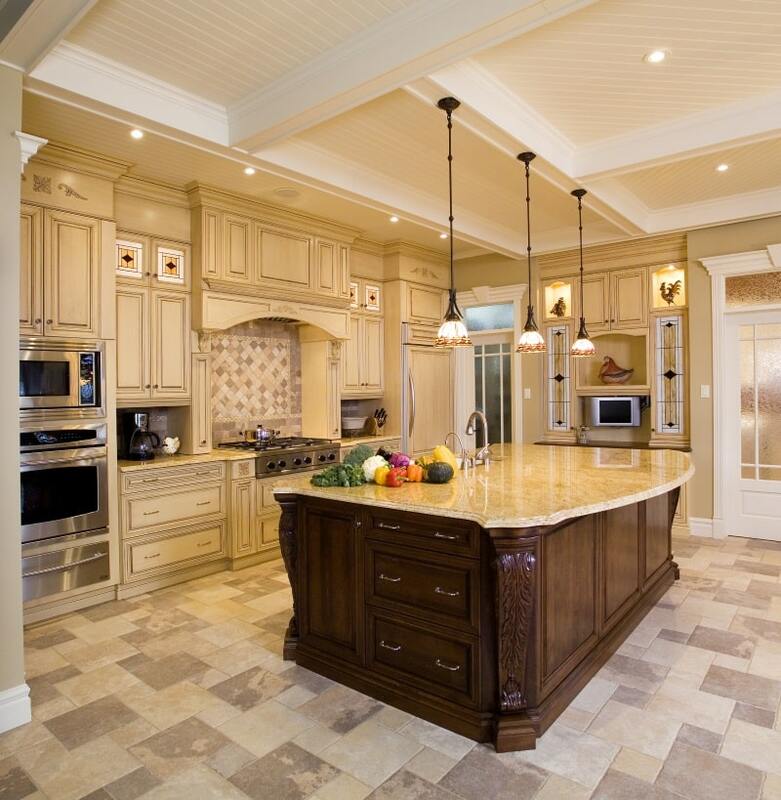 Kitchen flooring is a key component to any kitchen design. Care into its selection and installation is required so that it can sustain high traffic and last you a lifetime. We’ve already shared with you our gallery of kitchens with hardwood floors but another common flooring option for kitchens — arguably the most common — is tile flooring. 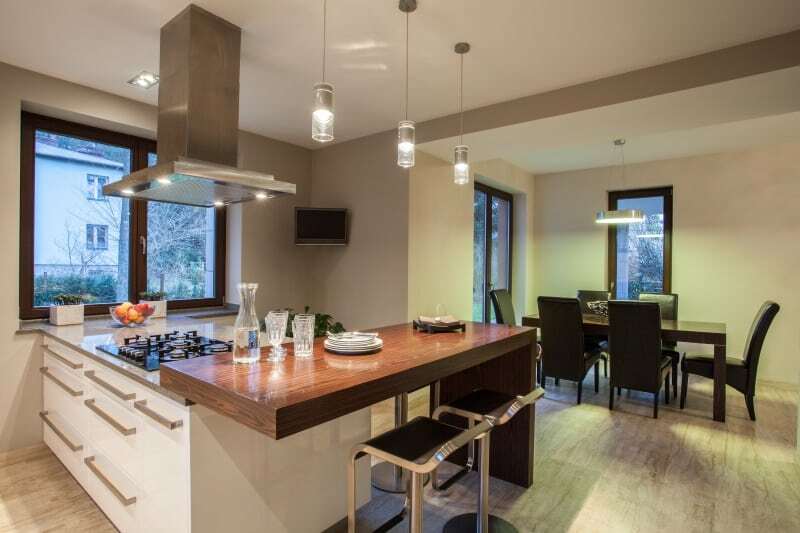 So we’ve looked at some stunning kitchens with tile floors and selected 21 for you to visit. At the end of the day, whether you select a tile or hardwood floor, it’s a personal choice. You can decide what is the best fit for you by enjoying our gallery of kitchens with tile floors for a little inspiration. What we found in homes we’ve enjoyed over the years is that well-sealed hardwood floors and tile floors are pretty much equivalent in terms of maintenance (provided you don’t require flawless kitchen floors). You will see from the kitchens with tile floors showcased below that tiles do offer a wider selection of colors and texture than hardwood flooring. Keep this in mind as you are thinking about what would work best with your kitchen style and decor. So here are the photos of kitchens with tile floors we selected for your visit today. While it can be stressful at times with so many styles of tile to choose from (not to mention the grout! 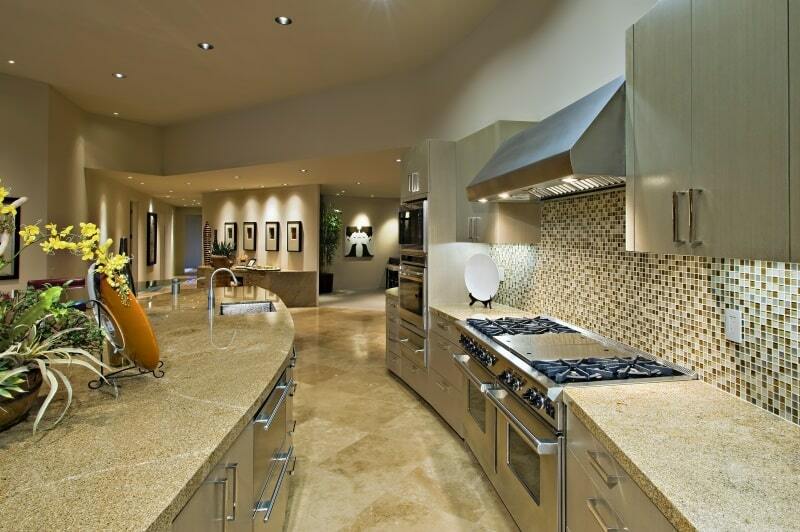 ), we hope our gallery will help you with your journey towards your own dream kitchen. Enjoy and beautiful day to you! The Little Plus: these rustic porcelain wood look plank tiles are simply gorgeous! This is a practical alternative to hardwood floors and works really well in this large open space luxury kitchen design. The Little Plus: the earth-toned travertine tile floor with yellow hues is the perfect canvas for this open floor kitchen with dark cabinets. And check out the modular layout, it allowed the owner to hand pick tiles of various hues to give the floor a unique personality and add warmth the entire space. 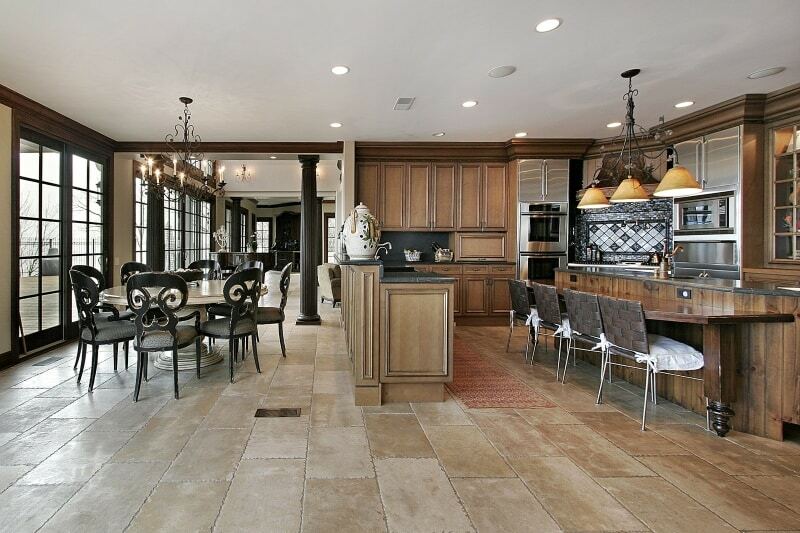 This tile floor also partners well with the granite countertops. The Little Plus: the tile floor and backsplash are perfect partners — different pattern and tile size so they can each have their personality but without clashing. 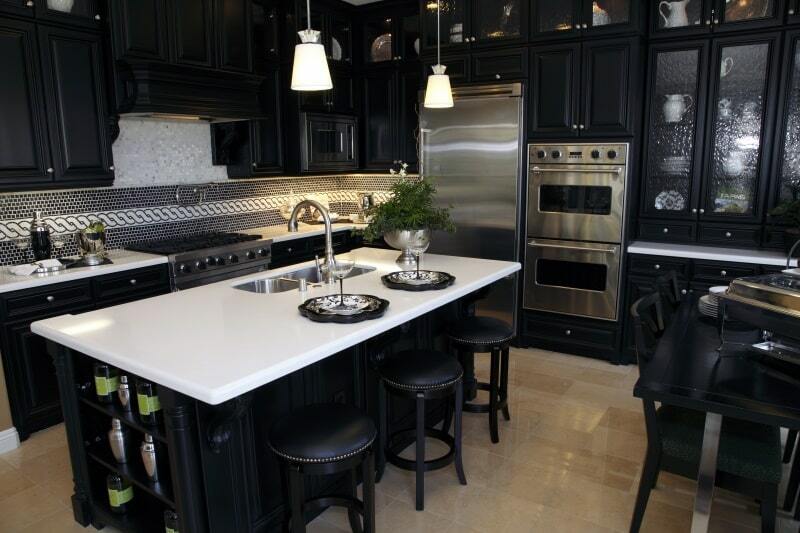 The addition of random darker tiles is a good idea so the dark wood kitchen island blends in nicely. The Little Plus: the backsplash rope pattern and glass mosaic pattern brings design and style. Also, to stay within a reasonable budget, the faux marble look of the white and light grayish glass mosaic pattern right under the range hood is a great idea. And notice how the beige glazed polished porcelain tiles bring warmth to this black and white kitchen with stainless steel appliances. The Little Plus: the loose random sandstone tile floor with grey grout brings in some style and a relaxed atmosphere. 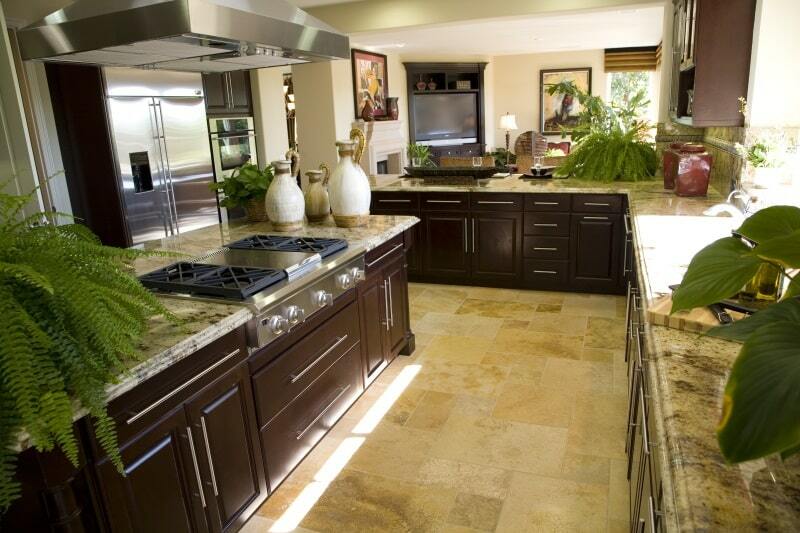 In contrast to the glossy cabinets, the matte finish of the sandstone adds some warmth to this kitchen. 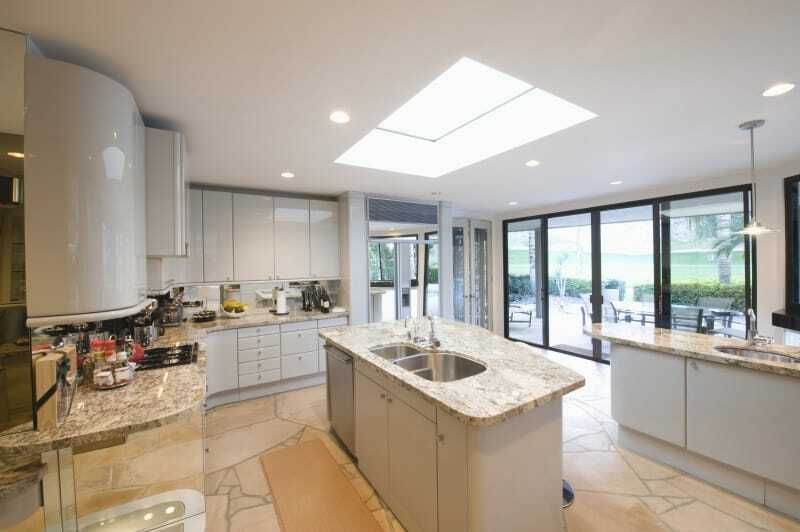 Natural light is provided by a skylight over the kitchen island and the four panel, full view sliding doors. And on pleasant days, step into the patio which has the same sandstone flooring — you just doubled up your kitchen space…the easiest kitchen remodeling project you’ll ever do! The Little Plus: the sandy beige marble kitchen floor is laid in a diagonal pattern and adds both class and warmth to this kitchen. The light beige granite countertop and long earth tone mosaic backsplash wall also contribute to a cozy atmosphere in this modern kitchen. The Little Plus: these wood look tiles make this floor look like a whitewashed wide planked hardwood floor. If you can’t decide between a kitchen with tiles or a kitchen with hardwood floors, wood look tiles could work for you.